Back in the winter time I spoke to the owner and curator of the gallery and he encouraged me to think about some ideas, write them down and I could send them to him and he could help me decide. So I sent him an eight page document with 10 different ideas listing the pros and cons of each idea. He read the first page and had to put the rest down! He said to relax and it would come to me. So I did. I did other work, let the ideas settle in my mind and it was when I was writing a grant proposal for funding for the show that my idea became more concrete. I didn't get the grant but was grateful for the experience in helping to solidfy my ideas. So, Evidence of Healing began. I was given about 600lbs of white clay from a local community centre. It ranged from bone dry to leather hard and the type of clay was unknown. There was earthenware, raku, stoneware and porcelain clay all in clear plastic bags and there was no way to tell what was what. I also had about 200lbs of raku and earthenware clay that I had gotten from someone else. So I dried all of it, rehydrated it and then dried it again to a useable consistancy. This was the clay out on the lawn trying to dry out. I then mixed it well in my pugmill and ended up with over 800lbs of clay that was of undetermined maturing temperature but an interesting mix. Completely unique in its make up and I found it was very plastic - it would stretch a lot - and it was gritty and smooth all at once. 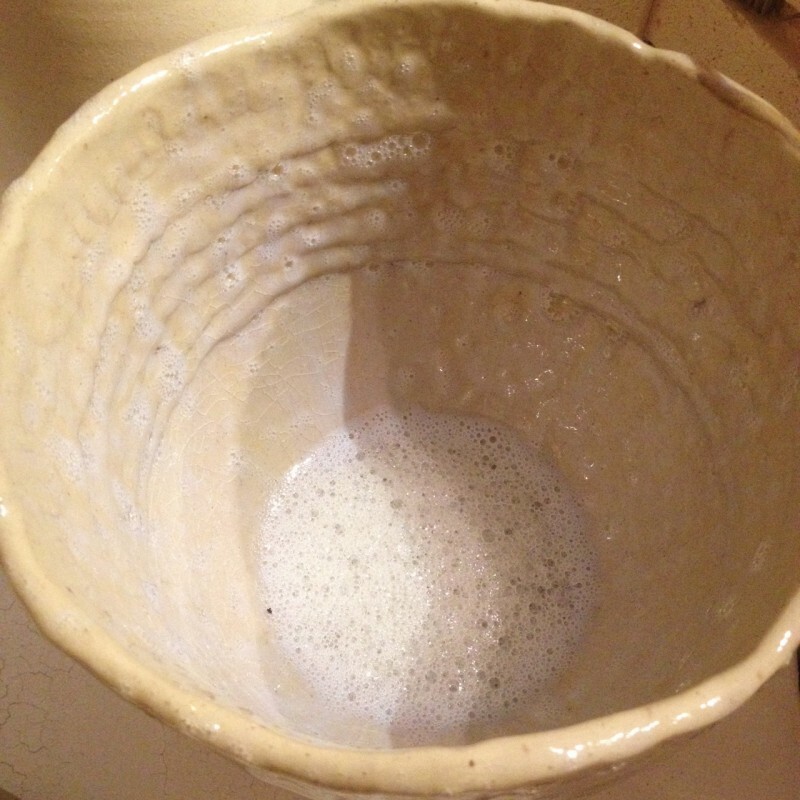 The finished firing colour is somewhere between buff - yellow and beige. After four tests I determined that it was a cone 3 clay. To those non-clay people - this is not a standard firing temperature. My earthenware clay fires to cone 04 which is about 1050 C, this clay fires to about 1145 C. So I had to develop a glaze for this clay next. These are about half of the tests I did. I first took base recipes - ones that I found that I liked that fired to a higher temperature and then adjusted them to fire at a lower temperature. It didn't take me too many test to find some good fits. I then took those base glazes and started playing around with colours. I knew I wanted a couple of shades of blue, yellow, and green as well as something metallic. All of this was to accent the main glaze which would be semi transluscent. This was the result I got. I love it! 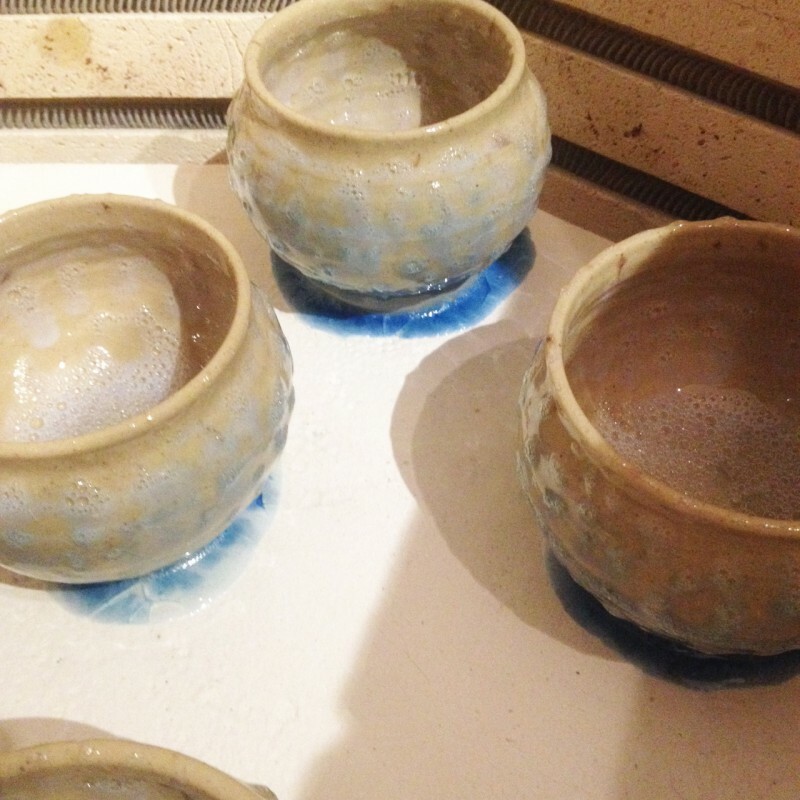 When I opened the kiln I actually jumped up and down saying "goody, goody, goody"! This is over the plain clay at the bottom of the pot and then the coils added were of varying degrees of Lantz earthenware clay. I was so thrilled with the results. The bucket of glaze I mixed up was a bit thick so I added a bit of water and did a kiln load. To my dismay - the glaze changed! It is quite clear, even with a thin application it appears too thick and I was not pleased at all. So then I had a decision to make. Do I mix up a new batch or try to save this batch? I have 10000 grams of this glaze now that was mixed from materials that had been given to me by someone who's potter husband had passed away some time ago. I had no idea how old the materials were but she assured me he was very careful with labeling so I felt confident the materials were as labeled. So I figured my choices were to add something to the existing glaze to make it opaque as I really didn't like the clear, or mix up a new batch with new materials. I did both! I am running out of time and couldn't afford 3 days to test two kiln loads. So I did. 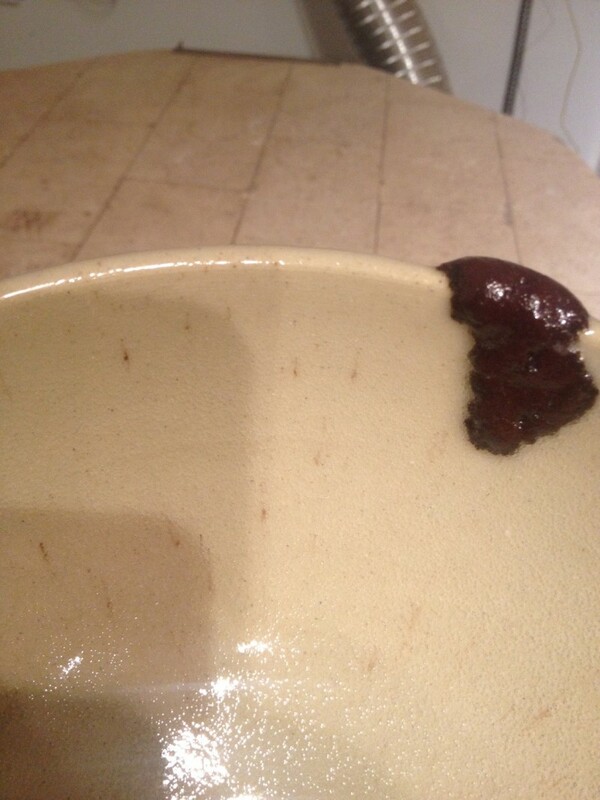 I added 3% of tin to the existing glaze, and mixed up a new batch of the same recipe - 5000grams. 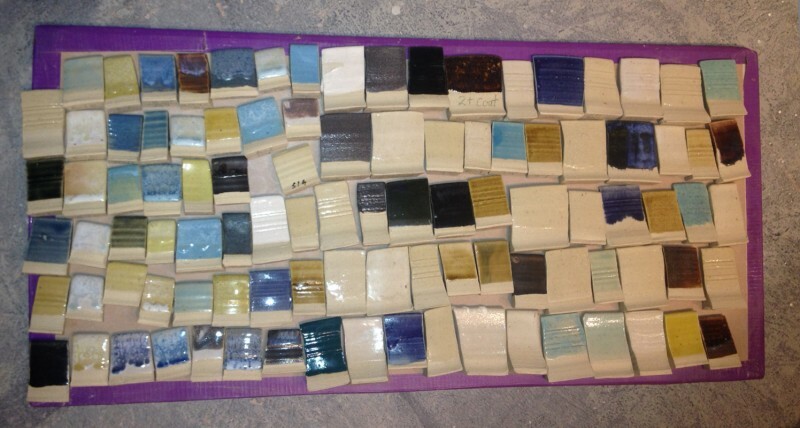 It resulted in the worst kiln disaster I have been involved in ever! 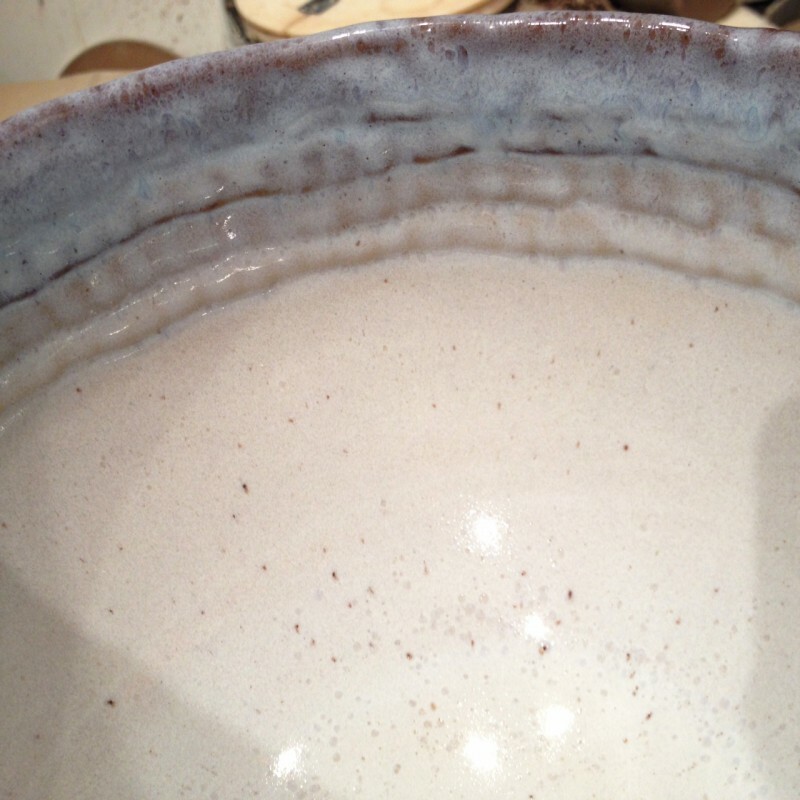 This is the "new" batch of glaze, using new materials at the same thickness. It boiled, bubbled, foamed, ran, pooled. Every bad thing you can imagine. Well, almost, it didn't ruin any bricks or elements and the kiln shelves were able to be cleaned in about an hour. So, it could have been worse! Crazy. 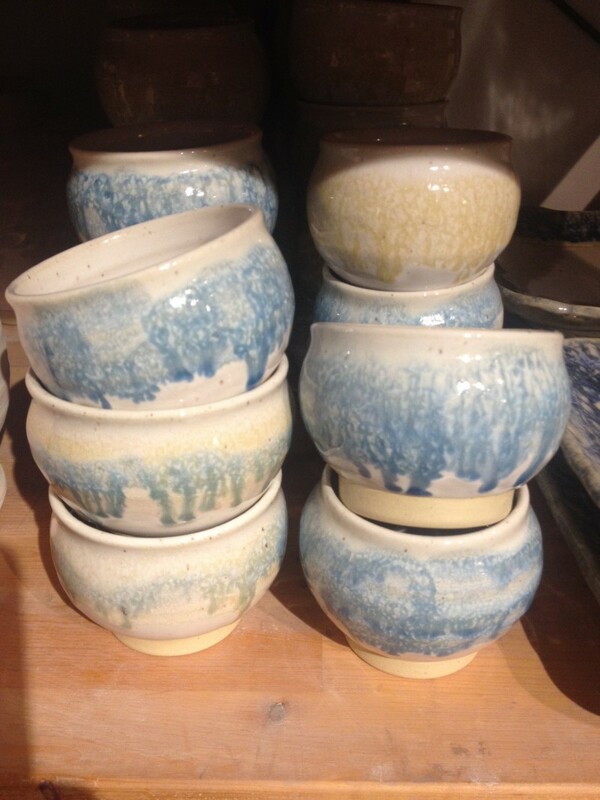 This is the glaze with the tin added on some of the cups for the show. My reaction was not initially "goody, goody, goody", but it was one of relief. I was pleased that I could get the nice white, if thinner a bit transluscent (I hope) and it mixes with my additional colours well. The more pots I get out of the kiln with it the more I like it. 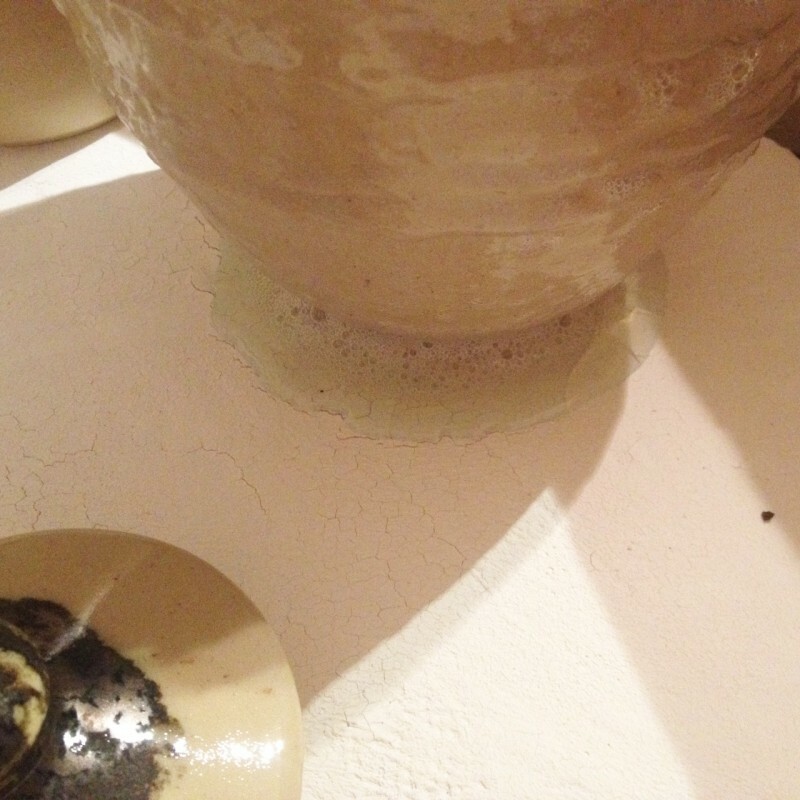 Next posting will be more about the pots I am making for the show with some of the processes.